• A leading practitioner of Chinese medicine provides Western therapists with a comprehensive, illustrated handbook for the noninvasive treatment of childhood conditions. • Provides alternatives to Western medicine that are more tolerable to children and better for their long-term health. • With over 200 drawings and photographs to guide practitioners through the massage treatments in the text. • A valuable addition to the repertoire of any health practitioner. A noninvasive alternative to conventional Western medicine, Chinese pediatric massage provides practitioners with greater flexibility in choosing a successful course of treatment to improve the health and energy of children without overwhelming their systems. Chinese pediatric massage has fewer side effects than other forms of treatment, making it more tolerable for children, easier on their parents, and more effective in improving the patient's long-term health. 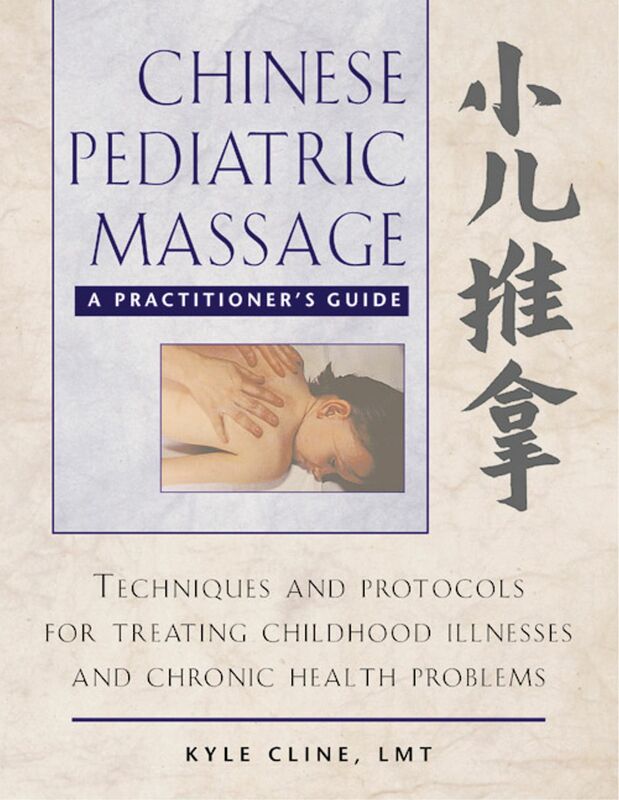 This clearly illustrated guide is designed to give all health care providers--massage therapists, homeopathic and allopathic practitioners, and bodyworkers--who know the general concepts of traditional Chinese medicine the tools and knowledge they need to successfully use Chinese pediatric massage in treating their patients. Effective on children from birth through preadolescence, Chinese pediatric massage is a valuable therapeutic addition to the repertoire of any practitioner. It considers how a child's energetic framework differs from that of an adult, and accounts for these physiological and anatomical differences through assessment, point locations, and treatment. Kyle Cline, LMT, studied traditional Chinese medicine at colleges and hospitals throughout Asia, including the Shanghai College of Traditional Chinese Medicine, and has served as a faculty member at the Oregon College of Oriental Medicine for five years. The author of Chinese Massage for Infants and Children, he also has a private practice in Portland, Oregon, where he teaches and specializes in bodywork and herbalism.